Little Dipper Hot Pot House will open its newest restaurant Nov. 19 in Fairfax's Mosaic District. Little Dipper Hot Pot House will open its newest restaurant Nov. 19 in Fairfax’s Mosaic District. WASHINGTON — Little Dipper Hot Pot House is coming to Fairfax’s Mosaic District. The restaurant’s third location will open its doors on Nov. 19. 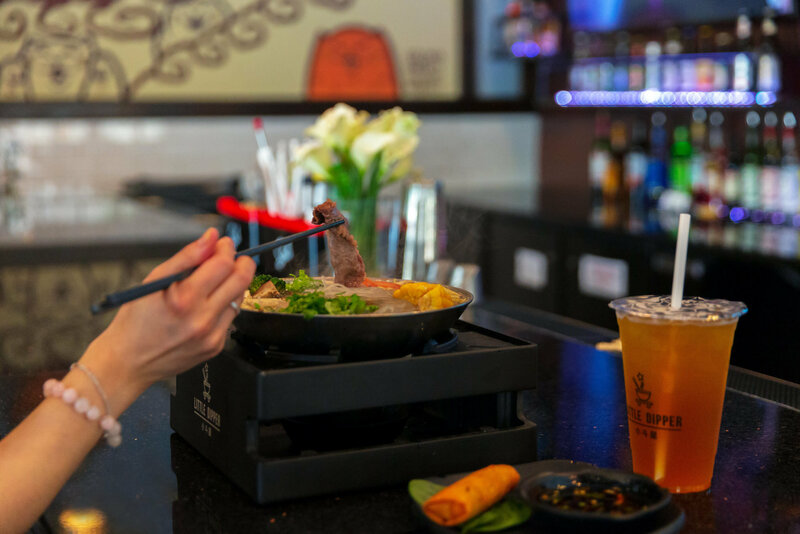 The original Little Dipper Hot Pot from restaurant owner Melinda Zhang opened in Falls Church in 2016. There is a third location at Rockville Town Square in Rockville, Maryland. The concept puts an updated spin on the 1,000 year-old tradition of communal hot pot cooking that uses raw ingredients simmered in a pot of broth and brought to the table hot. The restaurant calls it very much a communal meal, with everyone throwing their chosen ingredients into the pot, eating when it is ready and then repeating. The restaurant also offers individual hot pots. Hot pot meals, at lunch or dinner, start around $14. Diners choose a broth, a level of spiciness, a protein and a side. There is also a selection of 25 add-ons, including vegetables and noodles. The menu also includes other entrees in addition to the hot pot choices. The Little Dipper Hot Pot House at Mosaic District has a 60-seat dining room and a five-seat full bar. The restaurant will be open for lunch, dinner and happy hour Monday through Saturday.